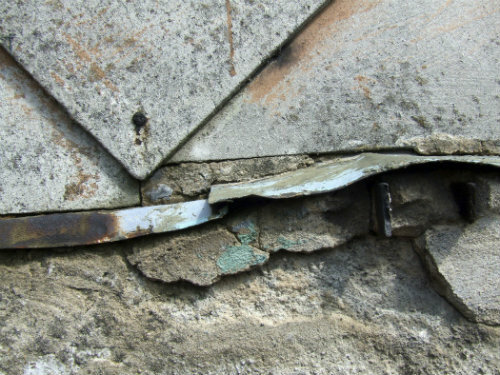 Occupational health researchers from the University of Stirling are calling on the Scottish Parliament to address an asbestos-related compensation issue. Scotland leads the way in protecting the rights of people affected by asbestos, but an academic report has discovered in certain circumstances claimants are poorly served within the current arrangements. Stirling researchers found people who suffer from pleural plaques, an asbestos-related condition which affects the lungs and chest, are forced to second-guess their chances of developing a potentially fatal condition such as lung cancer and mesothelioma. Pleural plaques victims must choose between a smaller provisional payout enabling them to return to court if then affected by a more serious condition, or accept a full and final payment, ending all legal liability. "It is perfectly understandable that the victim when faced with such a choice would choose the larger compensation award, but they cannot possibly grasp the potential effects of a more serious illness upon them and their family," explained lead researcher Tommy Gorman, from the University of Stirling’s Occupational and Environmental Health Research Group. "The Scottish Parliament has produced vital legislation in recent years to address the devastating impact of asbestos-related conditions and I believe our report provides a compelling argument for the need to move quickly to resolve negative impacts on claimants and their families." Researchers suggest one possible solution would be to give pleural plaques stand-alone status, which is in line with similar approaches taken across Europe. This would enable victims to receive an award through an alternative payment system and pursue future court claims in relation to a more serious condition. Fellow researcher Professor Andrew Watterson added: "An alternative compensation system such as one similar to that operated in France under a social insurance scheme would remove unnecessary pressures on claimants, reduce legal costs for both the claimant and defender and crucially increase access to compensation for people negligently affected by asbestos exposure." Their findings have been backed by Scottish writer James Kelman, who worked for a period as an asbestos-mixer. He said: "Any movement towards justice for the victims of asbestos abuse is welcome. At this period in the struggle the work being done by the University of Stirling is crucial. The Scottish Parliament has the chance to show here its commitment and support not only to the Research Group but to the many thousands of people whose health has been damaged irreparably, and fatally in too many cases." The report will be discussed at a meeting of MSPs from all parties, ministers, groups representing those with asbestos-related diseases, health and safety groups, trade unions and lawyers at the Scottish Parliament on Tuesday 8 September. Media enquiries to 01786 466 640 or communications@stir.ac.uk. Case studies of people affected by pleural plaques are available upon request.